The 10"x5" Carbon Block Cartridge(Coconut Shell) by CRYSTAL QUEST, replacement cartridge that simultaneously removes chlorine ,bad taste and odor, and organic chemicals that contribute to water taste and smell, while providing the particulate filtration and dirt-holding capacity of an efficient 5µm(micron) nominal sediment filter. 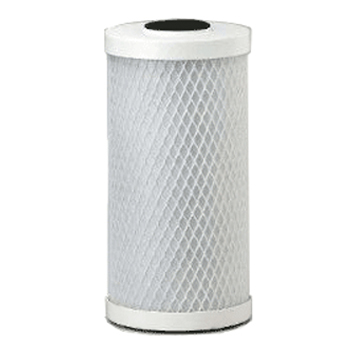 Carbon Block filters deliver extended life, while removing sediment, chlorine, bad taste and odor, and organic contaminants from water, aqueous solutions or suspensions. The CRYSTAL QUEST Carbon Block is also widely used in filtering organic solvents. 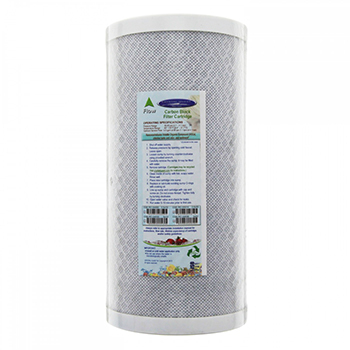 5-micron, 10"x5" Carbon Block Water Filter Replacement Cartridge for Big Blue systems CBC-10BB. 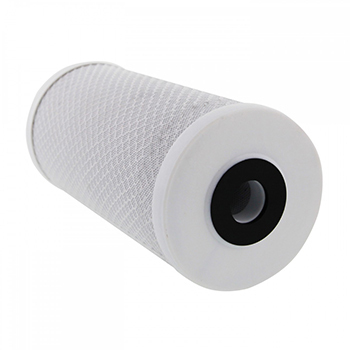 CBC-10BB filter is manufactured using extrusion process that allows the production of carbon block with more carbon, but with a lower pressure drop. Carbon Block removes chlorine, odor and bad taste. 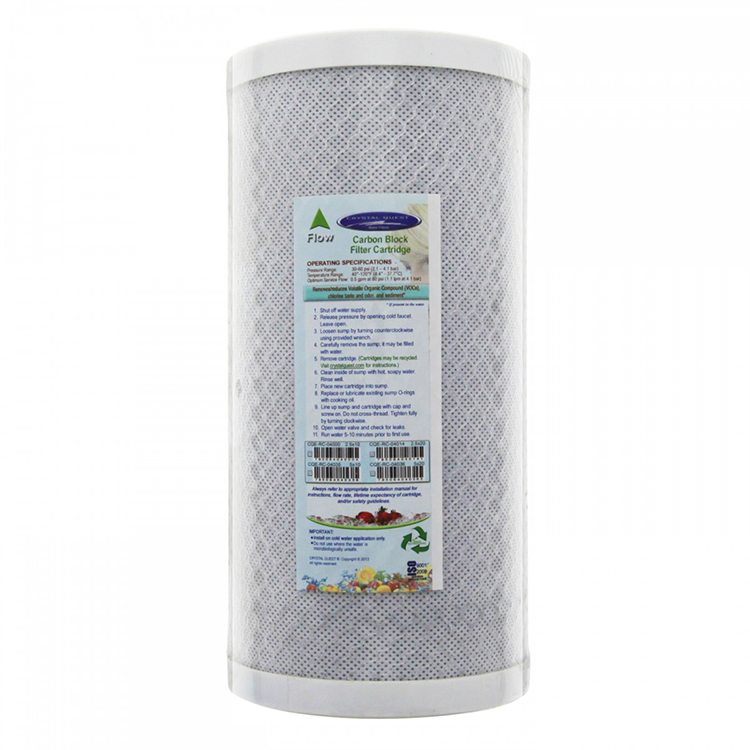 Can filter organic solvents and mercury. Can be used systems applying a 10"x5" filter housing. Will fit into different systems by a variety of manufacturers.